You can have the best product or service in the world, but if people don’t know about you, you won’t be making any money. We’ve all heard this business caveat more than once. Why is it worth repeating? Because there is no viable excuse for not marketing what you are selling, especially today, when online advertising is cheap and accessible. If you decide to invest into pay per click campaigns, you are presented with several choices or opportunities if you’d like. You can spend your money with Google, Facebook, Bing and a bunch of other services on the net. The absolute frontrunner is Google, whose service AdWords nets over $ 50 billion worth of revenue for the company each year. Their strongest challenger is Facebook. Since most of online advertising goes through these two services, they are the ones we will be focusing on it this article. There are some profound differences between the two, and it is important to know how and for what to use each one of them. One of the key differences is the point in the funnel where you are reaching your customers. Imagine the path to purchase of your customer. We can simplify it and say that it starts when someone sees your ad. We call this phase the awareness phase. The next phase is the consideration phase, followed by the purchase phase. Facebook ads are great for building awareness, which means that you are spending your money telling people that you exist and that you have something to offer. Google uses a different marketing strategy. This means that their ads target customers further down the funnel, usually when they are in the late stages of the consideration phase or already in the purchase phase. This is understandable; we only Google things we are researching and want to know more about. This means that some degree of intent to purchase already exists. The ultimate goal of an Adwords campaign is conversion. This is why all Adwords campaigns should be meticulously tailored to match the searcher’s intent as closely as possible; doing anything short of that means that you are potentially squandering your money. On the other hand, Facebook ads help awareness, more specifically, brand awareness. It is a form of interruptive marketing where your ads are served up to people based on their interest, regardless of what they are doing on the social platform. The strongest selling point for Facebook ads are its remarkable targeting options. They allow you to custom-tailor to whom your ads will be showed to, based on demographics, interests, and pages like. It is important to include both into your marketing mix. At one point or another, when you are focusing on one marketing channel you will start to notice diminishing return. Depending on your industry, you might benefit more from one type of PPC than the other, but favoring one at the cost of the other is not a smart move. 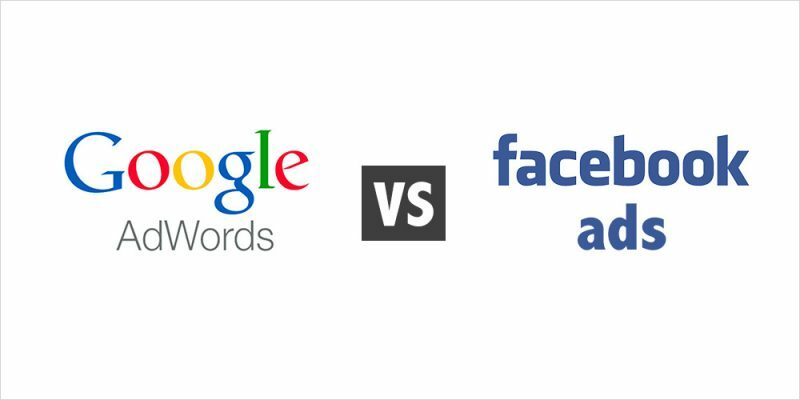 So the real question is not AdWords vs. Facebook; the question is: how to leverage both to your advantage and how to decide which one to focus on.